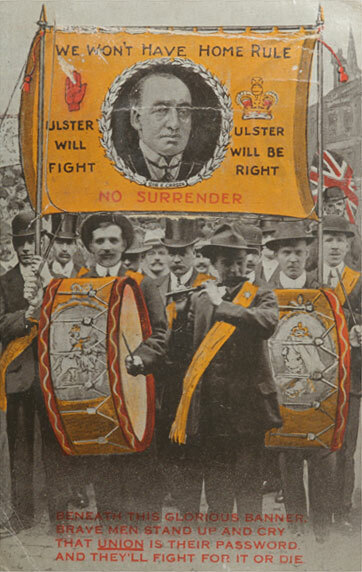 The divisions between Nationalists and Unionists became more intense as the British Government moved forward with proposals for Home Rule for Ireland. Both sides of the debate produced propaganda, organised events and made speeches. Look closely at the sources here to identify the language, symbols and designs used by both sides. Use the record sheet to help you record your answers. 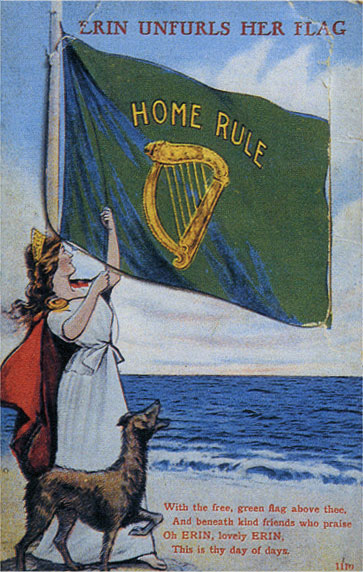 Which postcard would you describe as Nationalist and which postcard would you describe as Unionist? Look for words, symbols or designs that support your view and list them on your record sheet. What are the main similarities and differences between the two postcards?